Event: What Skills Will the Future Social Scientist Need? New panel debate focused on the future of social science research. Social scientists are facing a new research era, where big data and computational methods provide an opportunity to address current social science questions in different ways – as well as enabling new questions to be asked. However, developing the skills needed to work with new types of data and new methods poses a challenge for researchers who already have multiple and varied demands on their time. Should social scientists be expected to learn data science skills, or should we encourage specialization and collaboration with computer scientists and others with technical skills? 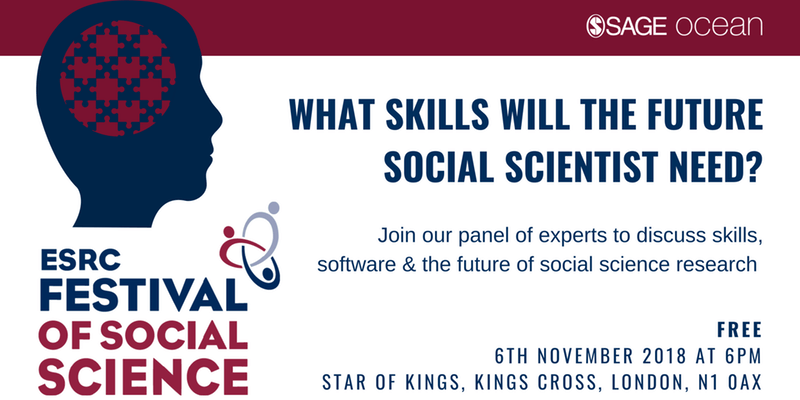 This panel will highlight some of the questions around what skills future social scientists should be expected to have and how to support the development of those skills. We will discuss some of the tools available for researchers working in the emerging field of computational social science, consider opportunities to incentivize the creation of new software and address the challenges involved with making research software sustainable. 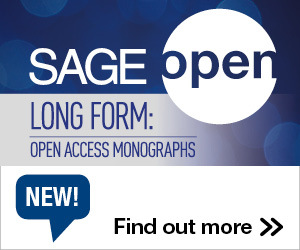 The Event hosted by SAGE Ocean and ESRC is part of the 2018 Festival of Social Science. The event will take place on Tuesday November 6 in London at 6pm. To attend the free event RSVP today HERE.